Whether drinking Red Bull, relieving chronic pain with oxycodone, or experimenting with Ecstasy, Americans participate in a culture of self-medication, using psychoactive substances to enhance or manage our moods. A "drug-free America" seems to be a fantasyland that most people don't want to inhabit. 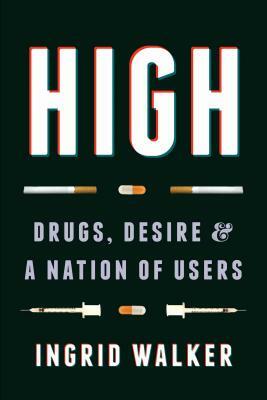 High: Drugs, Desire, and a Nation of Users asks fundamental questions about US drug policies and social norms. Why do we endorse the use of some drugs and criminalize others? Why do we accept the necessity of a doctor-prescribed opiate but not the same thing bought off the street? This divided approach shapes public policy, the justice system, research, social services, and health care. And despite the decades-old war on drugs, drug use remains relatively unchanged. Ingrid Walker speaks to the silencing effects of both criminalization and medicalization, incorporating first-person narratives to show a wide variety of user experiences with drugs. By challenging current thinking about drugs and users, Walker calls for a next wave of drug policy reform in the United States, beginning with recognizing the full spectrum of drug use practices. Ingrid Walker is associate professor of American studies at the University of Washington, Tacoma.